Skógarpúki (forest demon) is an accessible and moderately bitter pale lager. The spelt hops are added late in the boiling process, giving the beer a very interesting aroma. The barley is not malted, but dried slowly yielding little color as well as neutralizing its flavor. 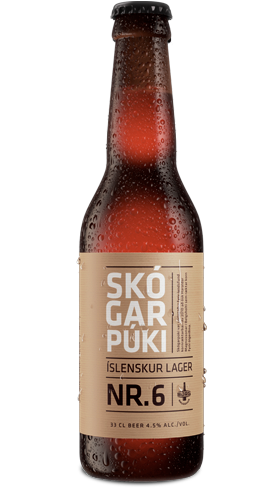 Skógarpúki is the first Icelandic lager of its kind.